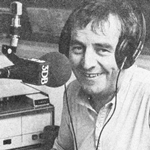 Former Adelaide radio and television broadcaster Bob Francis has died at the age of 77. Born in Egypt, Francis came to Adelaide in 1947 and ten years later started in radio at 5DN. While working at station 5AD, Francis was credited with leading the campaign to have The Beatles add Adelaide to their Australian tour in 1964. 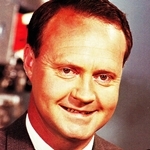 Although he had a successful radio career spanning 57 years in Adelaide, including several years as the top-rating night-time “shock jock” on 5AA, Francis also had a career in television. 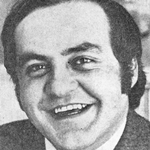 In the 1970s he guest hosted the local variety show Tonight With Barry Ion and for around 18 months hosted the Saturday night program Penthouse Club. Based on the Melbourne show of the same name, Penthouse Club was live variety interspersed with coverage of Saturday night harness racing and the weekly lotto draw. The show was co-hosted by Anne Wills and Sandy Roberts. Penthouse Club was popular with Adelaide viewers, with Francis, Wills and the show itself all collecting TV Week Logie Awards for South Australia in 1975. Ironically, just after the Logies triumph, the show was suddenly cancelled. Francis also appeared in local productions such as the SAS10 Christmas Appeal, and in 2005 featured in Made In Adelaide — a special documenting that station’s 40th anniversary. 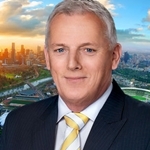 He retired from broadcasting in 2013. Bob Francis is survived by his wife Anna and two children. Source: ABC. 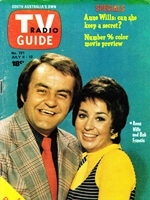 TV Radio Guide, 16 February 1974, 6 July 1974. TV Week, 22 March 1975.